NEW! 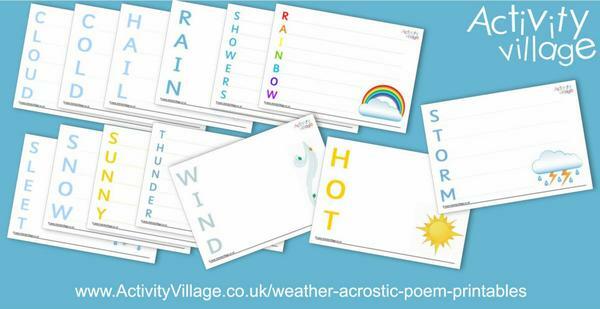 Babies, Weather, Squashed Sentences and More! We've been working on "daily routines" behind the scenes for a while (look out for a new topic soon) and what better way to start than with a baby! In fact, we've got 2 babies: one newborn, and one cheeky 9 month old! I love these activities and hope you do too. 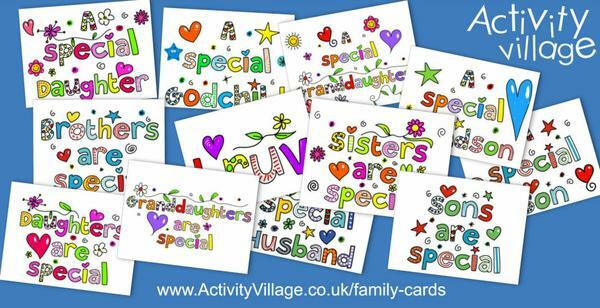 Use them for display and for discussion, for writing activities or for helping prep a big brother or big sister about what to expect when a new baby arrives to join the household. 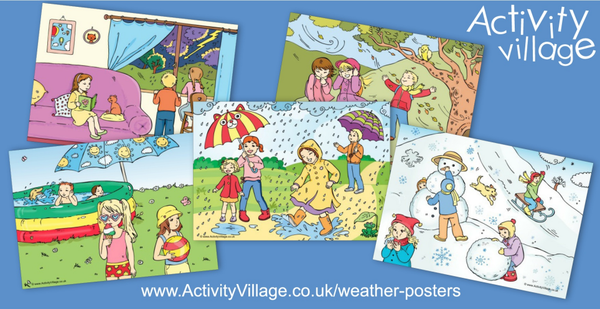 We've also continued to build our Weather topic this week, and added some more "squashed sentences" puzzles. And we've looked at Isaac Newton, gone flowery with number bonds, added more family cards and created tree story paper. It's been a busy week! 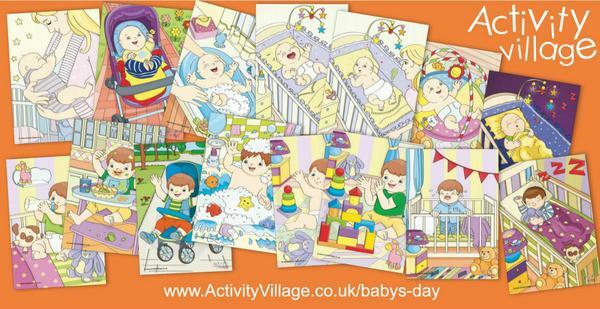 For each baby in our new Baby's Day section we have a complete set of lovely posters, colouring pages and story paper. 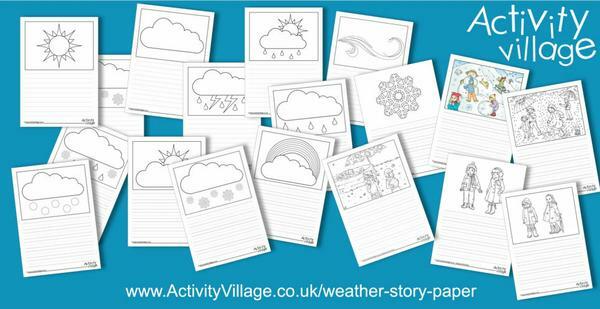 We continue to build our new Weather topic with a new collection of weather story paper. 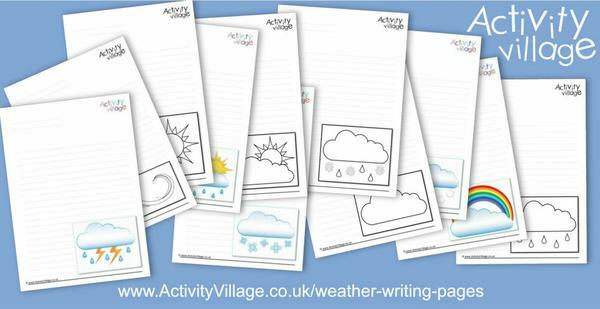 ... and a set of weather writing pages featuring the main weather symbols. 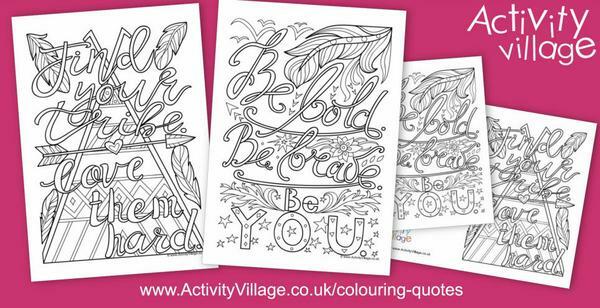 Grab your pencils and pens and settle down to colour one of our new "colouring quotes" as a colouring page or colouring card. Perfect for older kids and adults too. This week we've been looking at another famous scientist - Isaac Newton. 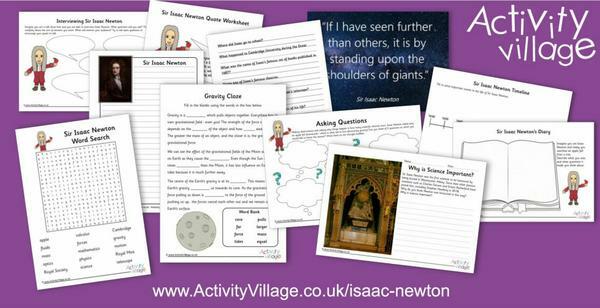 We've provided activities to suit a range of ages, included some interesting worksheets on gravity, asking questions and why science is important. 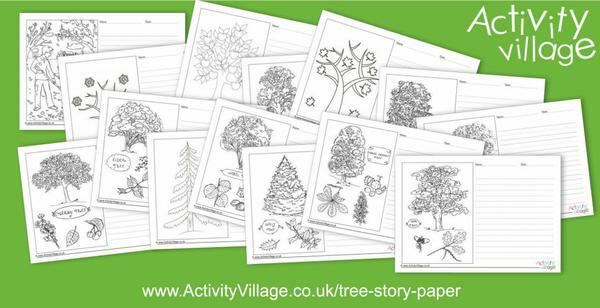 We've added new tree themed story paper for writing projects and nature study. 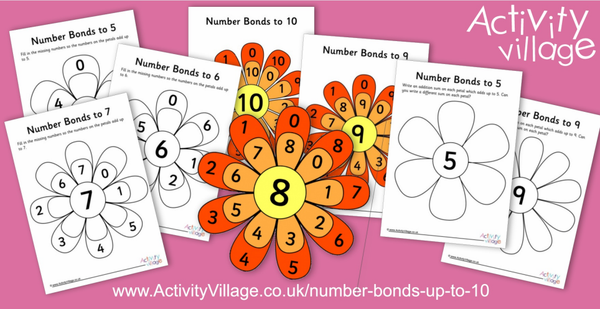 Bring flowers into the classroom with these new posters and worksheets that help children learn and practise their number bonds up to 10. 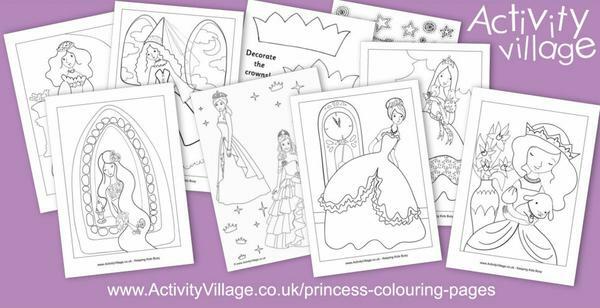 No matter how many handwriting worksheets we add to the website, we get requests for more! 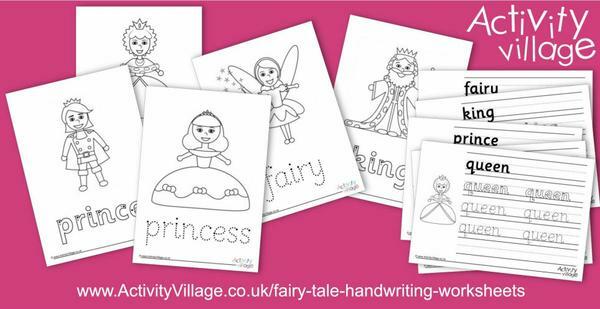 Here is a new fairy tale handwriting worksheets collection. With International Day of Families coming up on 15th, we thought it was a good time to add to our collection of Family Cards. 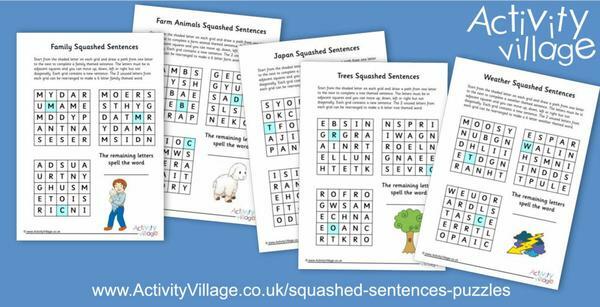 Our new "squashed sentences" puzzles have proved very popular and so we've made some more! 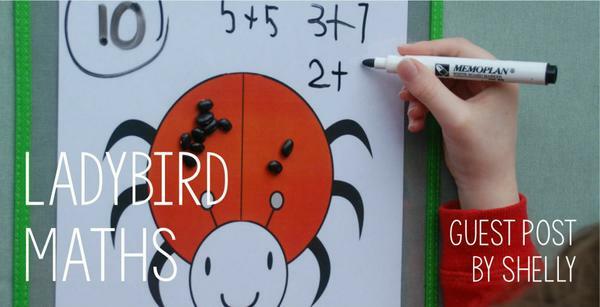 This week Shelly comes up with some fun ways of using our ladybird playdough mat for some maths practice! "Having somewhere to go is home. 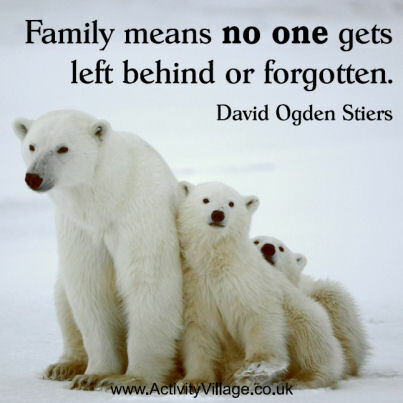 Having someone to love is family. Having both is a blessing." "It didn’t matter how big our house was; it mattered that there was love in it." "One of my earliest memories is of seeing my mother in her beach chair, reading a book under an umbrella by the water's edge while my sisters and I played beside her. Of all the life lessons she taught me, that is one of my favorites: to take time at a place I love, restore my spirit with books and the beach." "Listen with ears of tolerance. See through the eyes of compassion. Speak with the language of love."